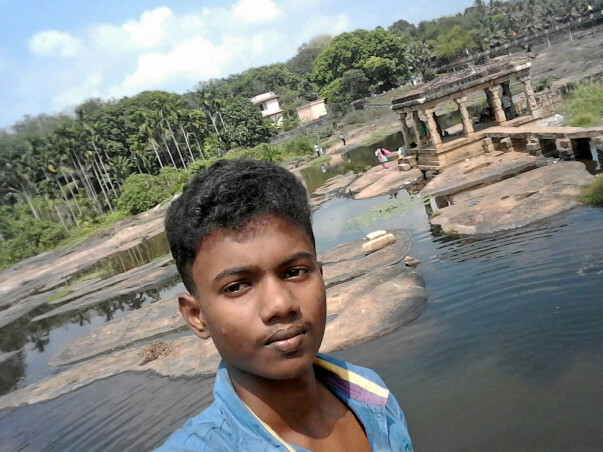 Jeyaram Mani is a 17-year-old who has spent his last 2 years fight blood cancer. His father Marimuthu is a farmer who is under debt and cannot borrow anymore for Jeyaram's treatment. Jeyaram has a good chance of recovery if he gets a bone-marrow transplant in time. Jeyaram was very sick when he was writing his class 10 exams. He had a fever but insisted that he would give exams – he had worked very hard for these exam. Jeyaram should have been overjoyed at scoring 95.6% in his exams, but he was too sick to continue studying. The next two years, Jeyaram took treatment for Acute Myeloid Leukemia or blood cancer. His family even qualified for PM relief fund which helped him complete his first course of chemotherapy. Jeyaram was to start class 11 last June, but unfortunately his cancer relapsed and he once again had to miss a school year. Jeyaram always stood out because of his dedication to studies and his burning ambition to succeed. Despite battling cancer, he is more unhappy about missing out on school. His parents assure him he can always go back. But that fails to comfort Jeyaram who is too weak to even hold a book to read. 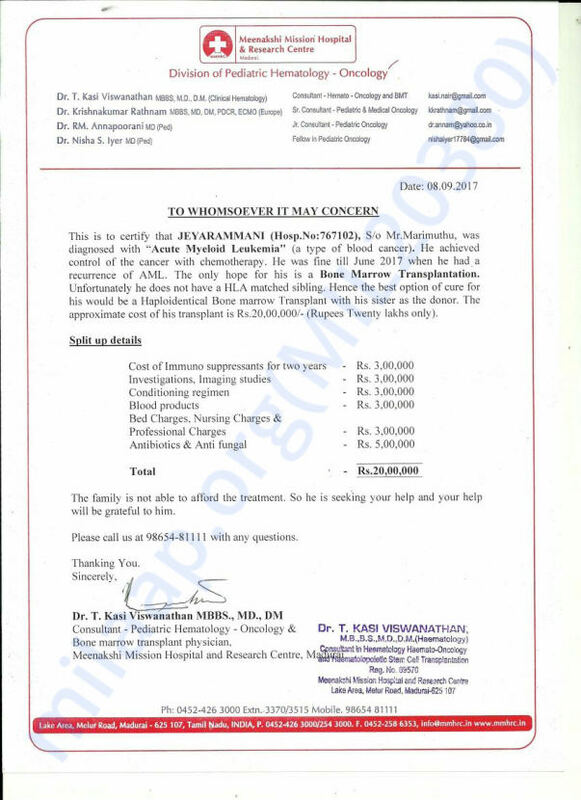 It gives us immense pleasure in informing you all that Jeyaram is now doing well and successfully underwent the bone marrow transplant. His post-bone marrow transplant care is on now. We're all hopeful about his recovery. He's been advised to visit the doctors regularly so his progress can be observed closely.